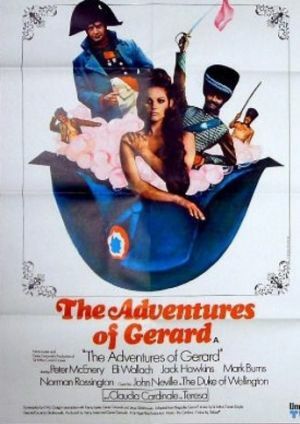 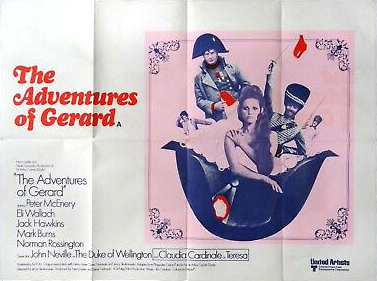 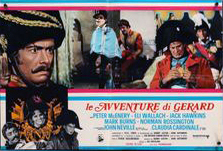 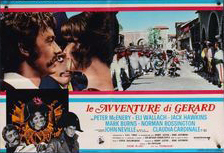 The Adventures of Gerard is a British movie, written by H. A. L. Craig and directed by Jerzy Skolimowski, produced by Sir Nigel Films, released in november 1970 (UK), starring Peter McEnery as Colonel Etienne Gerard. 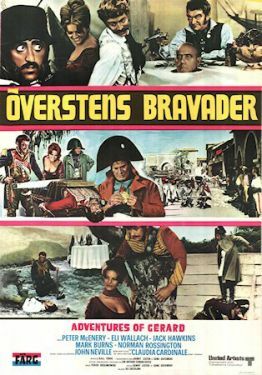 88 minutes. 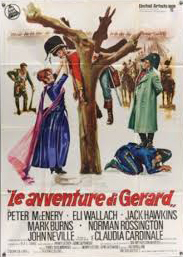 The movie is a mix of Brigadier Gerard stories written by Arthur Conan Doyle between 1894 and 1910. 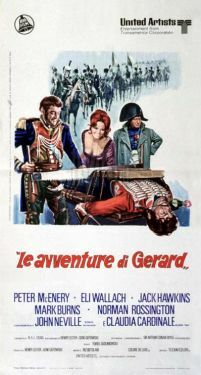 His son Adrian Conan Doyle was a technical adviser for the movie. 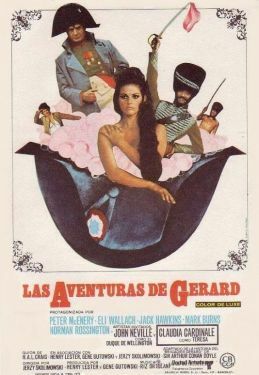 This page was last edited on 22 March 2019, at 00:34.